Install ZChat on your own server, VPS or shared hosting plan with your hosting provider. When you use cloud services, you entrust a key asset of your company-your real-time business communication archive-to a third party. Zchat is usually chosen by industries and enterprise businesses who are heavily regulated and need higher levels of security. With Zchat On-Premise solution, all data, (both chat history and website), is stored in your own MS SQL Database, not across the world! Extract the data at any time, integrate it with your in-house CRM solution, and customize your graphics to have the look and feel of your brand. The server you use for Zchat does not have to be the same server that hosts your web sites. 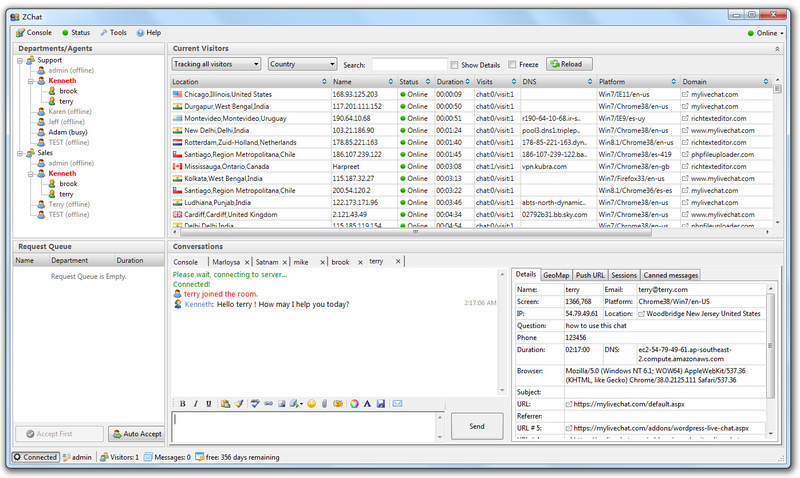 For larger installations you can load-balance Zchat across multiple servers. 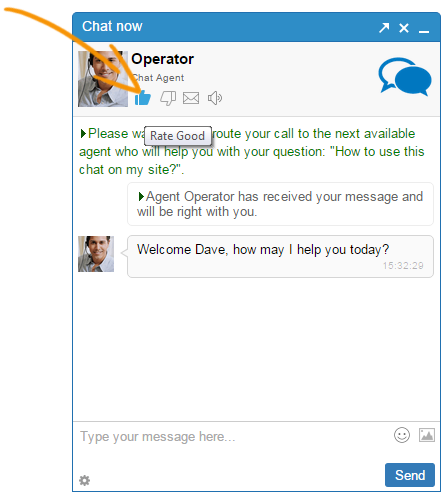 The capability for customers to click-to-chat with your agents is the most fundamental feature of Zchat and represents the next generation of e-customer service – a powerful alternative to business-as-usual online. Visitors simply click a button and they easily communicate, live and in real time, directly with your online service agents via text chat. Real-Time Visitor Monitoring allows you to track visitors as they move through your website in real time. Our Visitor Monitoring application helps you understand traffic patterns and see the complete picture on your website. Visitor monitoring is also the foundation for proactive chat invitations. Each visitor to your Website is tracked as they move about from page to page. Operators can view every detail about the visitor. ZChat always strives for simplicity and ease of use for agents. The Agent Panel has all the functions an online agent may need, for example, get visitor IP and location, check chat history, which helps to identify the most prospective customers.